2H Offshore has a vast depth of experience on platform wells, from standard wells through to more complex HPHT developments, splitter wells, deeper water, harsh environments or re-entry and workover of corroded or partially failed wells, using equipment which can be far heavier than that used to originally drill the well. The conductor between the wellhead and the seabed forms a critical part of any fixed platform and jack-up well, which may receive little design attention in comparison to the subsurface parts of the well or the platform support structure. In addition to thermal and pressure loads the casings experience, the conductor is also subjected to bending loads from the wave and current, and fatigue loading from a range of sources, including piling, waves and vortex induced vibration. The conductor pipe is only a small part of the overall conductor system, which contains threaded, flanged and dogged connections and both internal and external equipment. 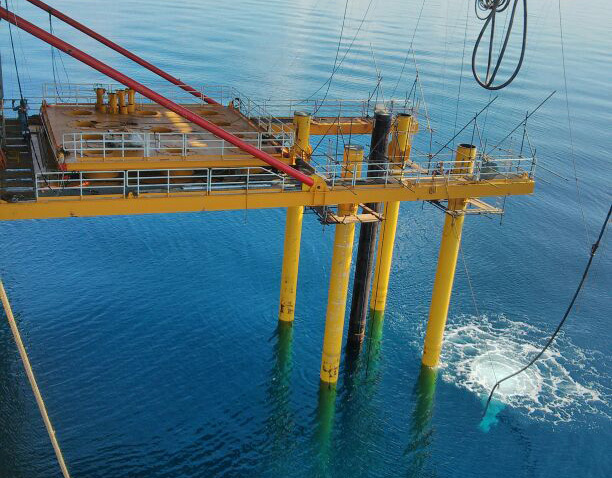 The systems experience available within 2H and our understanding of jack-up and rig-based operations allow us to provide an unrivalled platform well engineering service to the offshore industry. Many older shallow water developments are exceeding their design lives and considerable attention is required to justify life extension of the wells. 2H is working with the operators of these older facilities to define inspection requirements, conduct fitness for purpose strength and fatigue assessment and designing methods of repair where needed.